At WindCom, our priorities are providing quality blade maintenance, surpassing customer expectations, prioritizing safety at each step of the project, and identifying opportunities for innovation. In order to continue offering the best in class composite services, we are always on the look out for talented and motivated individuals of all levels to join our team. Whether you have experience in wind energy or are embarking on a new career, WindCom has an opportunity for you. We encourage technical, personal, and professional development, allowing you limitless possibilities to succeed and grow. We are committed to your ongoing professional development by offering a variety of training and development opportunities. We invite you to become a part of our growing team! 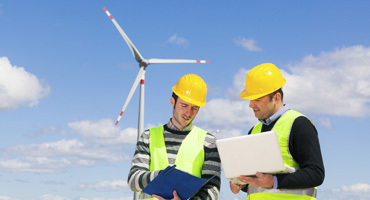 The wind energy industry is growing, and so is WindCom. With 66 GigaWatts (GW) of installed capcity in the US, 128.8 GW in Europe, and 5.1 in Brazil, it is the ideal time to become part of WindCom’s dynamic team. 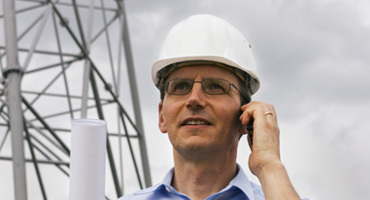 WindCom offers a competitive compensation package and various training and development opportunities. Compensation and Benefits include health care, flexible schedules, competitive salary and 401k. 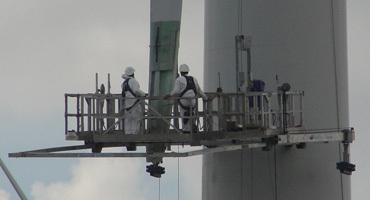 The Rope Access Level 3 Technician is responsible for carrying out standard rope access operations to perform inspection, maintenance, repairs and other industrial work tasks on wind blades while on ropes. Field leader role responsible for all day to day project activities. If you do not see a position that matches your expertise, please submit your resume for future consideration. We are always looking for new talent to join our team. Effectively conduct composite repairs and inspections in the field (at heights or on the ground) by following procedures elaborated by the Engineering Department.